This article is 2787 days old. Dr. G. Allen Heimann, Medical Officer of Health, has issued a level 1 heat alert for today and Saturday with a humidex value of 40 or higher in the forecast. 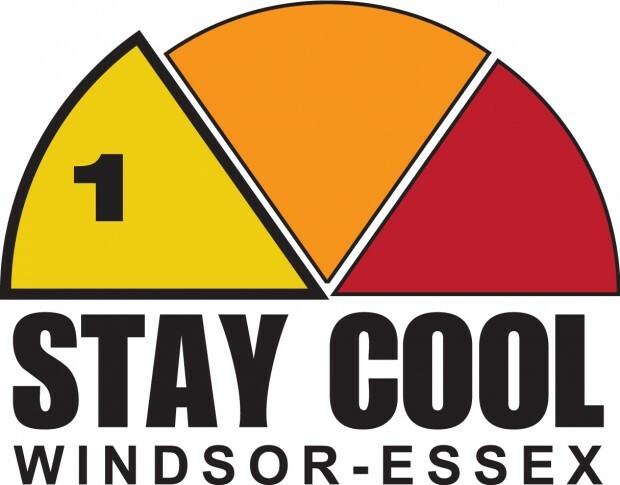 StayCoolWindsor-Essex.com for the latest locations. • Wear a hat and lightweight, loose-fitting clothing. • Take a cool bath or shower. • Limit outdoor activities to the coolest part of the day. • Check on your neighbours and family. any of these symptoms during extreme heat, visit your doctor or nearest hospital right away. either unconscious, confused, or has stopped sweating. The Windsor-Essex County Health Unit is also advising residents and visitors to keep a close eye on family, friends, and neighbours who are at higher risk of heat-related illnesses. Those particularly vulnerable include older adults, infants, pregnant women, young children, people with chronic illnesses, the homeless population, and those who work or exercise in the heat.